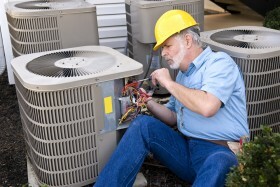 HVAC installation and repair are very common processes, especially here in the valley. 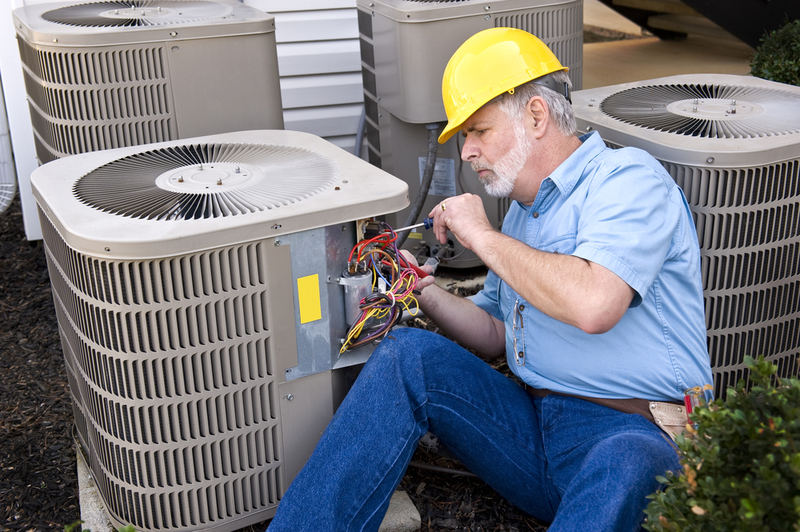 HVAC or heating, ventilation and air conditioning systems are a common addition to residential or commercial buildings. The goal of an HVAC system is to provide acceptable indoor air quality and thermal comfort using a mechanically engineered design. HVAC systems can reduce air infiltration, provide ventilation and maintain pressure relationships between spaces. For different types of buildings there are specific types of HVAC systems to provide the correct ventilation flow to reach each area of the building and these systems are installed by different companies. Smaller buildings normally use contractors to select and install the HVAC systems and equipment. Mechanical engineers, building service designers or building service engineers are used to analyze and design specific HVAC systems for larger buildings. These systems are then installed by specialty mechanical contractors. HVAC installation requires maintenance over time, each unit has an air filter that needs to be washed or replaced as conditions warrant. These filters are usually made of a lightweight gauzy material that filters out things like dust and pet hair. Along with maintenance of the filters, the coils and condensers must also be cleaned and maintained. If any of these different components get damaged Glendale HVAC repair is the premiere destination for fixing your HVAC system. A central HVAC system is the most convenient and quiet way to cool or heat an entire home. One of the more common types of HVAC systems is a split system, which has an outdoor unit called a condenser and an indoor unit called an evaporator coil. This specific type of HVAC installation unit is used to recirculate air differently for air conditioning and heating. Each circulation process flows a different way and uses different components of the HVAC system. Another type of HVAC system is the packaged air conditioner. This system combines the evaporator coil and the condenser into one condensed outdoor unit. The type of HVAC system you get for your home or office building depends on the buildings construction and location. While HVAC installation may seem initially expensive, it most likely uses the most energy in your house than any other appliance. On average, heating and air conditioning accounts for approximately 44 percent of your utility bill. HVAC systems today, like many other appliances, have increased in energy efficiency. This can allow you to save money and energy over the years by sufficiently upgrading and maintaining you HVAC equipment. Glendale HVAC repair can help maintain your HVAC unit and over time can contribute to the energy efficiency of your home.